ODS Statistical Graphics (also known as ODS Graphics) is functionality for easily creating statistical graphics. 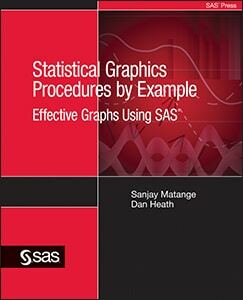 It is available in a number of SAS products, including SAS/STAT, SAS/ETS, SAS/QC, and SAS/GRAPH software. With it, over 100 statistical procedures can produce graphs as automatically as they do tables. ODS Graphics is an extension of ODS (the Output Delivery System), which manages procedure output and lets you display it in a variety of destinations, such as HTML and RTF. Consequently, many familiar features of ODS for tabular output apply equally to graphs. For statistical procedures that support ODS Graphics, you enable this functionality with the statement ODS GRAPHICS ON. Graphs and tables created by these procedures are then integrated in your ODS output destination. Presents the fundamental information you need to get started with ODS Statistical Graphics. Provides a gentle and parallel introduction to the graph template language and the SG procedures SGPLOT, SGPANEL, and SGSCATTER. Introduces graphs with multiple axes, axis tables, SG annotation, and shows how to annotate graphs that analytical procedures produce. Provides a concise overview of the capabilities of ODS Graphics. 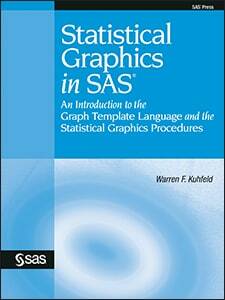 Presents the most common procedures, statements, and options used in creating graphs with ODS Graphics. Statistical Graphics procedures use this functionality to produce plots for exploratory data analysis and for customized statistical displays. Additional functionality enables you to edit graphs produced on the fly with the ODS Graphics Editor, a point-and-click interface with which you can customize titles, annotate points, and make other changes. Introduces a family of new procedures that are designed to create stand-alone displays that complement the more specialized graphs produced by the statistical procedures. ODS Graphics produces graphs in standard image file formats, and the consistent appearance and individual layout of these graphs are controlled by ODS styles and templates, respectively. 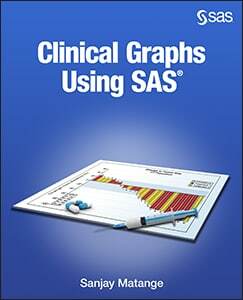 Since the default templates for procedure graphs are provided by SAS software, you do not need to know the details of templates to create statistical graphics. However, with some understanding of the underlying Graph Template Language, you can modify the default templates to make changes to graphs that are permanently in effect each time you run the procedure. 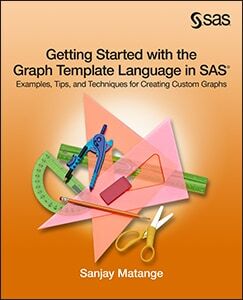 Explains how to access and modify graph templates. Explains how to modify the Kaplan-Meier plot, which is popular in survival analysis. Provides examples of modifying graph templates to permanently change how graphs are produced when you run analytical procedures. Presents the statements and options that are used most commonly with the Graph Template Language. This blog focuses on the usage of ODS Graphics for data visualization in SAS. Explore, discover, and communicate your information visually with SAS graphing components. Visit now. This paper shows you how to make a variety of heat maps by using PROC SGPLOT, the Graph Template Language, and SG annotation. This presentation covers many tricks and tips to create unique graphs that grab the reader's attention, and also deliver the information effectively. This paper presents the essential information you need to get started with ODS Graphics in SAS 9.3. ODS Graphics is an extension of ODS (the Output Delivery System), which manages procedure output for display in a variety of destinations, such as HTML and RTF. This paper shows various ways to add information to regression fit plots. This presentation includes tips and tricks you can use in SG procedures and GTL programs to build your graphs. This paper provides a gentle, parallel, and example-driven introduction to the graph template language (GTL) and the statistical graphics (SG) procedures. This paper presents examples to help you navigate the complexity of the default templates and safely customize elements such as titles, axis labels, colors, lines, markers, ticks, grids, axes, reference lines, and legends.